There has been a surge in the number of female superheroes over the past few years, but when you look at female super villains, the pool is considerably smaller. The reasons for why could be its own article, but there are only a handful of top-tier female super villains. So let's talk about the best female super villains in comics. For this list, I have excluded characters who are neither good or bad, such as Marvel’s Death, and characters who were formerly evil but have been on the good side for a long time, which includes Emma Frost (though a few on this list have flipped sides a few times). There are a lot of B-list villains who could be included at the tail end of the top 10. 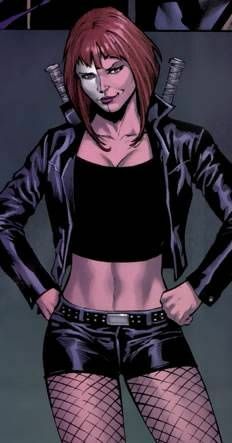 Typhoid Mary may be a somewhat lesser known character, but she is a personal favorite of mine because she has been a frequent foe of Daredevil, and one of the few women in his rogue’s gallery other than the recent Lady Bullseye. Daredevil also accidentally played a role in her turning into a super villain, in her debut in 1988. Mary, whose real name is Mary Walker, is a mutant with mind powers who also has multiple-personality disorder. Some writers have handled Typhoid Mary in a cliché “insane” way while others have handled her psychological elements with more subtlety. Some of her personalities are more powerful than others and have telepathic and telekinetic powers. Mary is one of those good characters who has often been underutilized over the years. Aside from Sinestro, Star Sapphire is Green Lantern’s biggest foe in the comics. Part of that is due to the fact that Carol Ferris, one of Green Lantern Hal Jordan’s longtime romantic interests, was Star Sapphire for a long time. The first Star Sapphire, who was from another dimension, predates Jordan and appeared in the Golden Age in 1947. Ferris would become Star Sapphire in 1962 and then a series of other women took up the name. In the late 2000s, there would be a group called the Star Sapphires who would be the Violet Lantern Corps (which would include a few men). The Star Sapphire powers are vast (and a bit vague) and stem from the Star Sapphire gem, making her a good foil for Green Lantern. It was not that long ago that Killer Frost was a C-list character mainly known as Firestorm’s nemesis during his 1980s comic series. However, Killer Frost (also known as Caitlin Snow) was catapulted into wider awareness when she was included in the team of the TV series The Flash. Played by Danielle Panabaker, Snow was on Barry Allen’s team, though she has recently developed Killer Frost powers and flirted with the dark side. 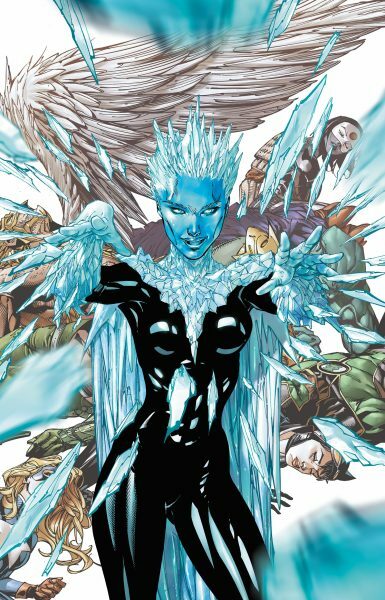 Snow’s inclusion in the show made Killer Frost a more prominent character in the comics, joining the Suicide Squad after “DC Rebirth.” DC recently switched her over the good side, and she is now a member of the Justice League of America. However, since she has been a villain for the majority of her comic history (unlike someone like Emma Frost), I’m including her in this list of female super villains. 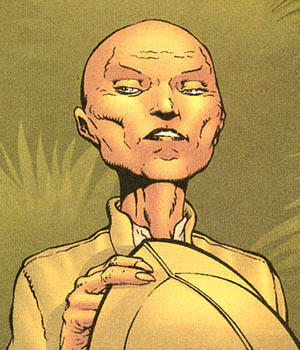 Cassandra Nova may appear the least physically imposing of all the characters on this list, but she is probably the most powerful. Nova played a big role during Grant Morrison’s New X-Men run and like any good X-Men villain, she has a convoluted origin/backstory. Cassandra was a twin of Charles in the womb, but he sensed her evil nature even in utero and tried to end her existence. Thought to be stillborn, Cassandra’s consciousness still survived dormant before emerging with the goal of destroying all mutants. She did a lot of damage, including sending Sentinels to the island of Genosha, where sixteen million mutants were killed. She also exchanged consciousness with Xavier for a time, doing even more damage. Although Nova hasn’t been seen in the comics since 2008, she is still a very dangerous character. Not to be confused with the character of the same name in the DC Universe (and played in Suicide Squad by Cara Delevingne), Marvel’s Enchantress is a frequent enemy of Thor in the comics. Also known as Amora, she is a goddess who has the super strength and stamina as well as a command of sorcery. However, the power most frequently displayed by Amora is the ability to seduce men to do her will. Frequently accompanied by Skurge the Executioner (a character appeared in Thor: Raknarok, as played by Karl Urban), the Enchantress appeared way back in 1964, early in Thor’s history. She was created by the architects of the Marvel Universe: legends Stan Lee and Jack Kirby. Besides the original Secret Wars, she has not been a major part of significant universe-wide stories, but she has been an enduring, consistent and intriguing villain for Marvel. If you asked the average comic fan to name one Wonder Woman villain, he/she would probably offer Cheetah. There is a good reason for that, as Cheetah has been Wonder Woman’s main adversary almost since her beginning. Cheetah debuted in Wonder Woman #6 back in 1943 and was created by William Moulton Marston, the creator of Wonder Woman, and artist H.G. Peter. Through the years, three different women have operated as the Cheetah, with Barbara Ann Minerva serving as the alter ego since the late 1980s. Cheetah has also appeared in numerous animated series and movies, usually facing off with Wonder Woman. While it is understandable that DC choose a different foe for the first live-action Wonder Woman movie, Cheetah is reportedly the main antagonist for the sequel. 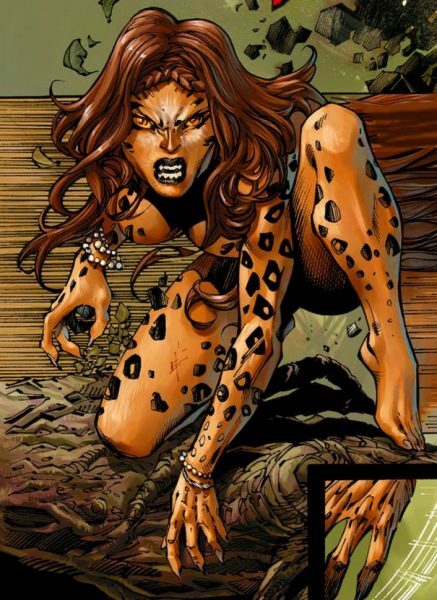 Overall, Cheetah is a preeminent villain, both for Princess Diana and the DC Universe overall. Poison Ivy has had a long stint as a foe for Batman, since her debut in 1966. However, she rose to new heights in the 1990s thanks to Batman: the Animated Series. 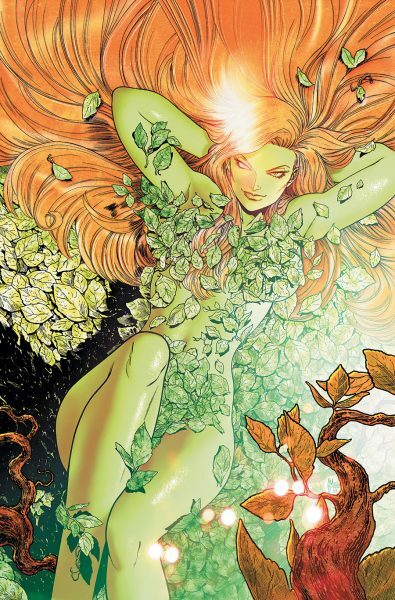 Poison Ivy, also known as Pamela Isley, has a sympathetic situation for many viewers. She is a botanist who loves plants and despises what humans have done to them. 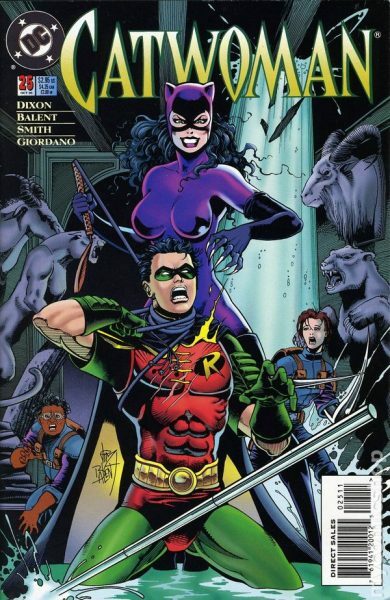 The animated series renewed interest in Poison Ivy and she has played a big role in Batman comics since that time, while also getting a prominent place in other Batman media, such as a support spot in the Arkham video games series. Poison Ivy has been a romantic interest for Batman as well as other villains. She has even become something of a grey-area character between good and evil. Throughout her history, though, Ivy has been a central villain. Although Mystique has skewed towards the anti-hero or straight-up hero side in the X-Men movie franchise, she was a villain for most of her comic book existence. Recently, the comics have taken some cues from the movies and made Mystique switch allegiances from time to time, often on the side of the X-Men. For the most part, though, she should be considered an X-Men villain. Some of that ambiguity is what makes Mystique so intriguing. She is not like Cassandra Nova and bent on destruction. She is more akin to Magneto, fighting for mutant rights and sanctuary and willing to go beyond the law for those beliefs (as well as personal gain). I think she has to rank as one of the top 10 X-Men foes and probably ranks relatively high among all Marvel villains. For me, she definitely ranks as the best Marvel super villain. I will admit that I’m not as big of a fan of Harley Quinn as many people. It’s not that I dislike the character – but many fans LOVE Harley. She is the only character on this list to not begin in comics, as she famously started in Batman: The Animated Series before making her way to DC Comics. Her role for many years was as a sidekick/love interest to Joker, but she has become a star of her own. 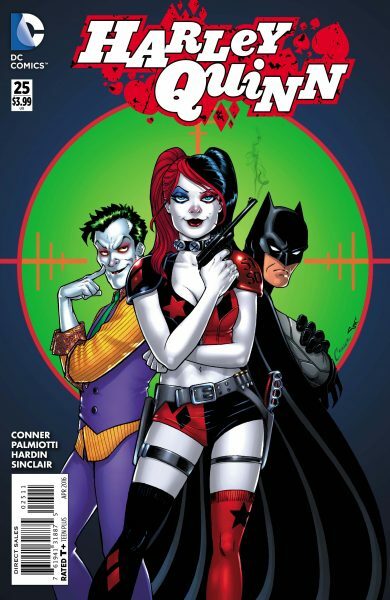 The Harley Quinn series by Jimmy Palmiotti and Amanda Conner is a fan favorite. She was also the breakout star of Suicide Squad and set to star in a standalone movie. For many people, she would be at the top of this list and even for someone relatively neutral about her (like myself) has to put her right near the top of the list of female super villains. The reason I put Catwoman at the top of the list is her staying power. Catwoman has consistently ranked in the top echelon of DC villains since her debut in all the way back in 1940. She was thought up by Batman creator Bob Kane and Bill Finger, appearing in Batman #1. She has been making Batman’s life complicated now for over three-quarters of a century. Selina Kyle is not a world-conquering villain but rather a thief. She can get wrapped into bigger schemes and has made forays into the good side (even joining a Justice League line-up for a time). On many occasions, Selina isn’t trying to do evil but rather just break laws (usually involving theft). She is often most interesting when she is working with Batman/Bruce Wayne. Still, she is a free spirited lawbreaker and in my opinion deserves the title of best female super villain. What do you think? What are your favorite female super villains? Leave a comment discussing your favorite or least favorite.